Neck and back pain are amongst the most common reasons for people seeking bodywork treatment. Misalignment of the spine and the associated pain and reduced mobility are often a result of underlying energetic restrictions and distortions in the soft tissue and in the energy system. The most effective and lasting way to address these symptoms is to address the underlying energetic patterns. The Governing Vessel channel flows through the spine and along with Conception Vessel is a component of the Central Channel, the deepest part of the energetic system. The flow of these channels can become disrupted through stress and life events, manifesting over time as a range of symptoms – physical, emotional, mental, spiritual. The Shiatsu ShinTai approach taught in this workshop releases deeply held energetic patterns and brings the system into resonance, helping the person connect with their own body intelligence to find alignment. A bit like tuning an instrument! There are no forceful adjustments! This workshop also serves as an introduction to the ShinTai healing approach, or as a review if you have previously taken a live or online ShinTai class. The information for our authentic development and life path is encoded into our DNA. You will learn to access this information through the incredible intelligence of your body, by accessing a part of the nervous system which monitors physical, emotional and spiritual alignment. As we connect with our inner guidance we start to make our own adjustments – posture becomes more functional, and we start to make choices around food, relationships and activities which move us towards alignment and healing. Please ask for information about local accommodation and travel. This workshop is for healing bodywork practitioners – shiatsu, massage, craniosacral, osteopaths, chiropractors, physical therapists, yoga, … any bodyworker interested in connecting to a deeper potential within themselves and their clients. 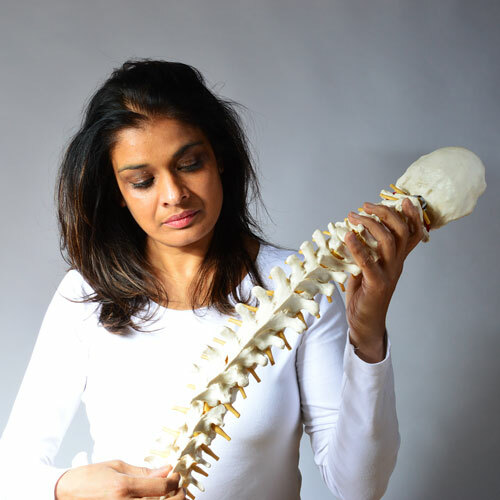 Kindy Kaur MRSS(T) is a transformational bodywork therapist & teacher, specialising in Shiatsu, ShinTai and energy healing practices. She is former Principal & Director of the British School of Shiatsu-Do in Nottingham and a registered Teacher with the Shiatsu Society UK and the British School of Shiatsu-Do. Kindy teaches in the UK and Europe and offers treatments and supervision at her clinic in Nottingham.